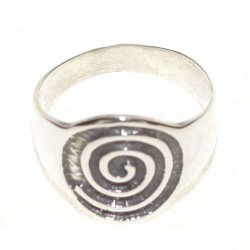 925 sterling silver Spiral ring. The Spiral is one of the most ancient symbols of the Celtic culture. For the celts, the spiral had not neither beginning nor end which meant that a cycle began when another ended, thus symbolizing eternal life.